What’s the best robot mop? Most people are aware of robot vacuums but few people realize that you can also buy robot mops to clean your hard floor surfaces. The robot mops we review are truly a work of genius. Imagine never having to mop your floors ever again. Robotic home products have reached a point where the technology is as effective as humans. Robot mops are an investment of convenience. How many people truly enjoy cleaning their floors? It’s a chore many of us loathe then came the introduction of robotic vacuums! To top that off manufacturer’s came out with some of the best robot vacuum mop models for even greater convenience. It’s been nearly a decade since robot vacuums first came to the market. While there were some snags and disadvantages that couldn’t come close to the power of a manual vacuum there have been many improvement made along the way. Among many of these improvements in robotic vacuum cleaners to enhance their capabilities, a dual functioning concept was born! The best robot vacuum mops can help make life simpler by taking the chore out of keeping your floors clean on a daily basis. They may not fully replace your traditional mop for major spills and tough stains just yet, but these nifty little robots can certainly help with everyday cleanup for easier maintenance. They provide all of the convenience of a robotic vacuum to do the dirty work for you while you sleep or when you’re away. Robot mopping systems are slower in their development than the vacuuming robots due to their complex technology. Leading brands such as iRobot, however, are paving the way for the best robot vacuum mop systems. The following models are some of the best mopping robot vacuums with deep cleaning capabilities on the market today. Smart Navigation : Searches for obstacles in its path before it sprays. Cleans floors in an efficient, systematic pattern: Mops and sweeps small spaces, such as kitchens and bathrooms, with an efficient, systematic cleaning pattern. Includes Lithium-ion battery and charger. Smart design gets into tight spaces: Gets into hard-to-reach places, including under and around toilets, into corners, and below cabinets. Carefully cleans around obstacles: Remembers obstacles in its path and slows down to gently clean along furniture, walls, and fixtures. Avoids stairs and riding up on rugs: Cliff Detect keeps it from tumbling down stairs and other drop-offs. Returns to its starting point after it’s finished cleaning. Automatically shuts off after a cleaning run, or if it encounters a problem. Automatically selects the correct cleaning method based on pad type. Choose from wet mopping, damp sweeping, and dry sweeping pads. Works on hard floors such as hardwood, tile, and stone. You’re in control : Create an invisible boundary with Virtual Wall to keep it in rooms without a door, such as kitchens and entryways. Download the iRobot HOME App to get the most out of your robot. Access exclusive features, support, and robot updates from the palm of your hand. The Braava jet 240 mopping robot received excellent ratings from reviews including PCMag reviews for its cleaning abilities. This smaller robotic vacuum is relatively inexpensive and suitable for smaller coverage areas such as kitchens and bathrooms or apartments. It works on hard floors such as tile, stone, and even suitable on hardwood flooring. It comes with different cleaning pads for dry sweeping, damp sweeping, and wet mopping. A targeted spray helps to loosen dirt and lift stains. It also has built in technology that detects obstacles before spraying to avoid potentially damaging furniture. It can be programmed with a Virtual Wall Mode to keep it within a designated area to clean such as the kitchen. The iRobot Braava will return to its starting area when the cleaning run is finished. Desirable features: Cleaning capabilities aside, there are some specific features to the iRobot Braava jet that were favored as a best robot vacuum mop contender. The compact square design allows it to get in hard to reach areas around the kitchen and the bathroom such as around toilets and underneath cabinets. It has a unique Vibrating Cleaning Head feature when used in wet mopping mode that actually scrubs floors clean. 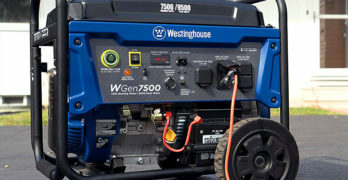 It operates quietly and will automatically power down once its cleaning run is complete or if it encounters a problem. An added feature is the handle and eject button so you can lift the lightweight device and toss the dirty pad without having to touch it. It’s very easy to use and will automatically choose the appropriate cleaning method according to the cleaning pad type attached. Turbo Charge Cradle recharges Braava in just two hours. Turbo Charge Cradle recharges in just two hours. The reusable Pro-Clean cloth cleans dirt and grime using water or an approved mild cleaning solution. The 380t mopping robot is iRobot’s larger model designed for cleaning multiple rooms as well as larger areas for a greater cleaning coverage. A single cleaning cycle covers up to 1,000 square feet for dry sweeping or up to 350 square feet for mopping. A Navigation Cube system allows it keep track of where it’s been to avoid repeated cleaning over the same area. A single charge will provide up to 210 minutes of run time for sweeping or 150 minutes for mopping. The square design allows it to get hard to reach spaces like corners and features PerfectEdge technology to sweep in straight lines for efficient cleaning picking up dust, dirt, and hair. For wet mopping, it features a triple-pass mopping action that helps to remove dirt and grime using a damp cleaning cloth and water or a mild cleaning solution that is recommended for use with the robot. It even cleans grouted tiles for an effective clean and not just the surface area. Desirable features: The Braava 380t offers substantial run-time for a thorough clean on a single charge. It also comes with a Turbo Charge Cradle that recharges the unit in as little as 2 hours. Additional navigation cubes can expand the robot’s cleaning range to offer complete cleaning coverage for your entire home. One of the features that helped this mopping robot earn a spot among the best robot vacuum mop models is its compatibilities with various cleaning pads and cloths. Specifically designed to fit under most furniture, beds and kickboards. Unlike other brands that require specific cleaning pad types, which can get expensive, the Braava 380t works with disposable cleaning cloths such as Swiffer as well as a reusable microfiber cleaning cloth. It is gentle enough for all floor types including hardwood, laminate, and more while also providing an effective clean. Best robot mop vacuum. Cleans pet hair. Very effective and affordable robot mop. Automatically docks, recharges and adjusts to hard floor types – tile, hardwood, laminate & more. Running time up to 140 minutes. This hybrid robot vacuum is 2 in 1 with vacuuming and mopping capabilities for maximum efficiency. It has an improved powerful motor from its predecessor to pick up more dirt and debris including pet fur. It has a slim design to go under most furniture and obstacles. It also features smart sensors to avoid obstacles while wet mopping so it doesn’t damage furniture as well as advanced technology to detect stairs and drop points to prevent it from tipping over. There are 4 different cleaning modes for specific needs: spot cleaning for particularly dirty areas, edge cleaning that targets cleaning along walls and in corners, scheduled cleaning to run during a specific time-frame that’s most convenient, and Auto Clean to randomly clean an area automatically. Run time when the battery is fully charged is approximately 140 minutes. The water tank has a large 300ml capacity that delivers up to 80 minutes of water-dripping clean time. The robot automatically docs itself when it’s done and recharges. Desirable features: This 2-in-1 vacuuming mop brings a great deal to the table, able to clean a variety of floor surfaces, including : tile, hardwood, laminate & more – with a list of incredible features. Unlike many of the mopping robots on the market which only offer dry sweeping in addition to wet/damp mopping, this one actually vacuums to pick up the dirt and debris prior to mopping. Insert the dust bin and remove the mop holder to begin the vacuuming cycle. It adjusts to different floor types and features large road-rover wheels to go over uneven flooring. In damp and wet mopping mode, the smart water-dropping technology only drips water while the robot is moving and stops when the unit stops so it isn’t depositing excess water. Another improvement in this model from the iLife V5s is a quieter operation so it won’t disturb you or others while running at night. Intelligent sensors guide this robot mop throughout your home. intelligent sensors guide the robot vacuum under and around furniture. The Roborock Mi Robot is a smart cleaning solution compatible with iPhone and Android. It can programmed to start, stop, schedule and route planning via smartphone with 2.4GHz Wifi. A Smart Laser detection system allows the robot to map out and navigate the room for cleaning by scanning its surroundings. It uses a special algorithm to map out the most effective route for cleaning. It is equipped with additional intelligent sensors to detect obstacles and guide the robot under or around furniture for a thorough clean. A mopping pad attachment provides uniform water seepage with i-Dropping technology for an effective clean that won’t leave water stains on your floor. It has a high capacity 480ml dust bin and a 140ml water tank. The rechargeable lithium-ion battery will last for 45-60 minutes of run-time. The smart robot vacuum will automatically re-dock and recharge with a built-in self-recharging sensor. Desirable Features: This mop robotic cleaner offers wet and dry cleaning that can be controlled remotely using your smartphone. A side brush sweeps along walls and edges to clean up dust, dirt, and debris. Additionally, it has a carpet pressurization mode to detect carpet and automatically switch to higher suction for maximum cleaning power. It will instantly switch back to regular suction when it resumes to hard flooring. The Bionic Mop system features a root-inspired filter to control water flow so it always uses precise amounts of water for cleaning without leaving excess water/moisture that can cause staining on hardwood flooring. The water tank easily slides in the side of the robot for effortless installation and cleaning. The concept of a robotic cleaning device provides effortless convenience, but only if it’s used correctly. While these devices take most of the chore out of cleaning your floors, you do need to ensure you’re following the guidelines on proper use. If you’re seeking the convenience that these devices have to offer here are some suggested tips to give you the best robot vacuum mop experience. Be sure the robot vacuum mop will work with your flooring. Often times a homeowner may purchase a robot vacuum mop with high expectations only to end up disappointed. If you are using a device that is not meant for the flooring type you have it can cause damage to your flooring, which can be quite costly to repair or replace. For instance, a homeowner with hardwood floors should consider a vacuum mop with i-Dropping technology for wet mopping over ones that have a jet spray. For the same reason previously mentioned, you should choose your robot vacuum mop accordingly to your flooring. Not all dual-functioning robotic vacuum mops will actually pick up debris on carpeting. Many vacuum mops that claim to offer multiple cleaning modes for dry and wet cleaning are actually designed to simply pick up dirt and dust like a Swiffer dust mop. If you have carpeting or area rugs that you intend for your robotic mop to clean over, be sure to choose one with an actual suctioning vacuum mode. Choose a mop with an effective mopping cloth. Most vacuum mopping robot brands use a microfiber cloth including the brands mentioned above. These provide the most contact with the floor for optimal cleaning and use up minimal water. Microfiber also provides gentle cleaning for vinyl and hardwood floors without causing damage or leaves scratches behind. Also consider the size of the cleaning cloth. A microfiber cleaning cloth that covers more area such as the 350cm large cloth provided with the V5s Pro will give you better cleaning efficiency to get the job done within the battery’s power limits. Consider the water tank capacity for your needs. If you need wet mopping done frequently or to cover larger areas, a large water tank capacity will offer the best robot vacuum mop for the job. This also ensures less refilling during clean times. Never overfill the water reservoir past its maximum capacity as this might cause damage to your device. Always follow the manufacturer’s instructions on use before putting your robot vacuum mop to work. Most brands suggest using just tap water or a very mild cleaning solution for the wet/damp mopping modes. Proper installation of parts and following the guidelines on settings and programming are a must to prevent causing potential damage to your flooring as well as your vacuum mop robot.